I find it a bit hard to write about this topic. I’m afraid, despite my Fine Art background, and my career as an Art Teacher, that I am a bit haphazard to say the least about my creative process. I don’t really keep a sketchbook or visual diary, and I don’t often respond to external stimulus. Not even my amazing trip to Europe and Egypt last Christmas produced inspiration for my glass. I rarely even have an idea in my head when I head to the torch. I just don’t seem to work that way. For me, it’s more about combining colours, and utilising skills. Many of my best designs derive from dots, as that is a technique that I have practised and developed a level of skill. But I do love to produce designs that practise various skill, such as stringer control, encasing or sculpture. I guess I am more often moved by what I can accomplish, rather than expressing emotions or inspiration. I do have one area of influence that frequently affects my glass. 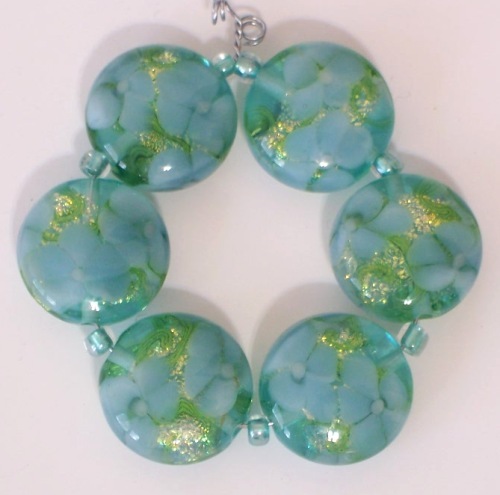 I am a member of the SCA – a Medieval recreation society, and like to research and produce period style glass beads. That often means producing replicas, which isn’t very creative, but I do love to incorporate the period techniques and styles into more contemporary designs. 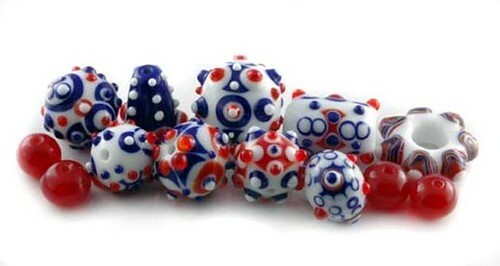 My favourite dot beads are an example of that, as they are heavily influenced by the Chinese Warring States Beads. 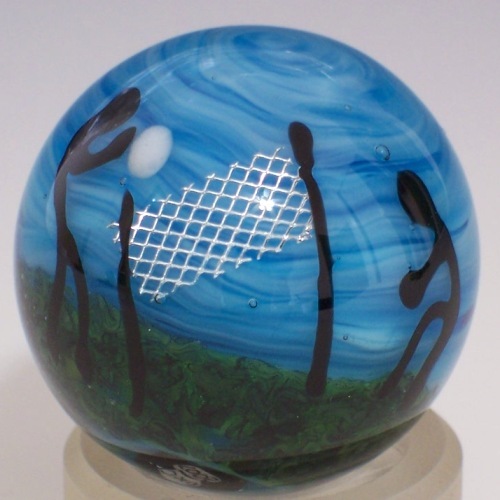 So, more often than not, the creative process for me is sitting at my torch, picking up a colour glass that appeals to me at the moment, and making the first thing that comes into my head. Or, making a conscious decision to focus on a particular skill. Trying to make beads on a theme is a new process for me, but one I am working on for my involvement in the Modern Savages group. 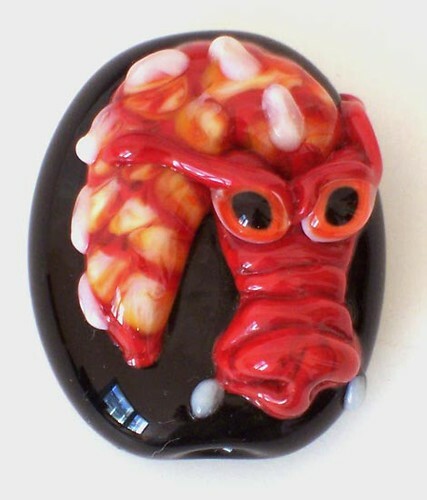 Sometimes I think that my working style tend to lean more to my glass as a craft, rather than art. And I don’t see that as a bad thing. I think I’d rather be a good craftsman (creaftsperson?) than a mediocre artist…..